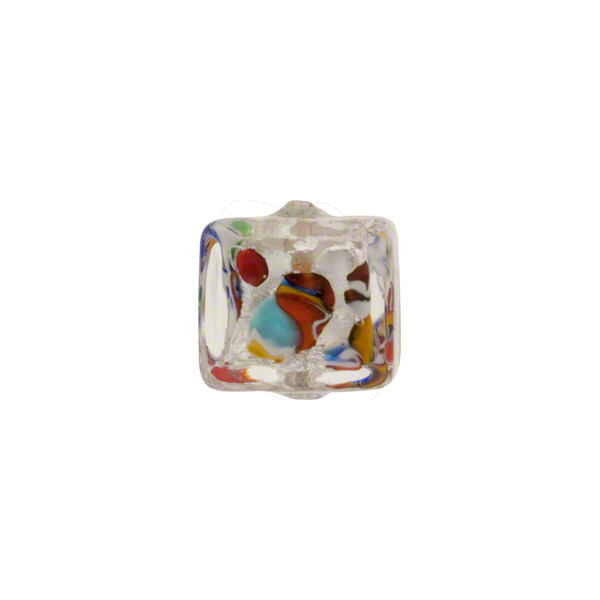 Great little 10mm cube (1mm center hole) with exterior Muano clear Crystal Glass in the Klimt style with small pieces of millefiori glass inside over .925 sterling silver foil. The exterior is a layer of clear Murano Glass. 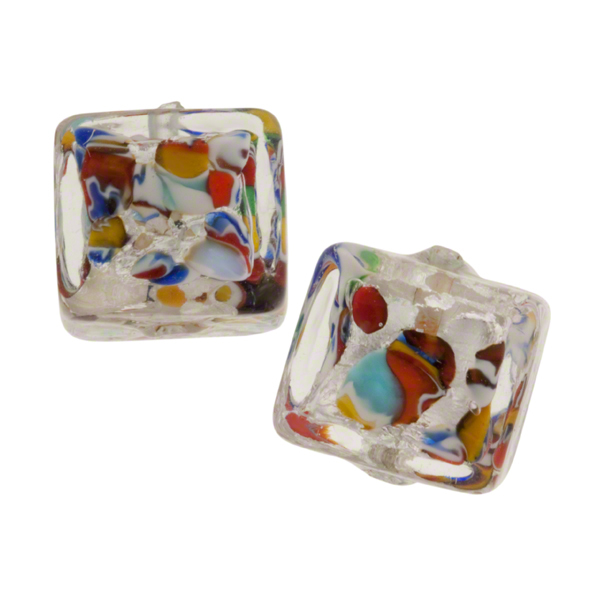 These are a great size for your Murano Glass Jewelry and bracelets or earrings. 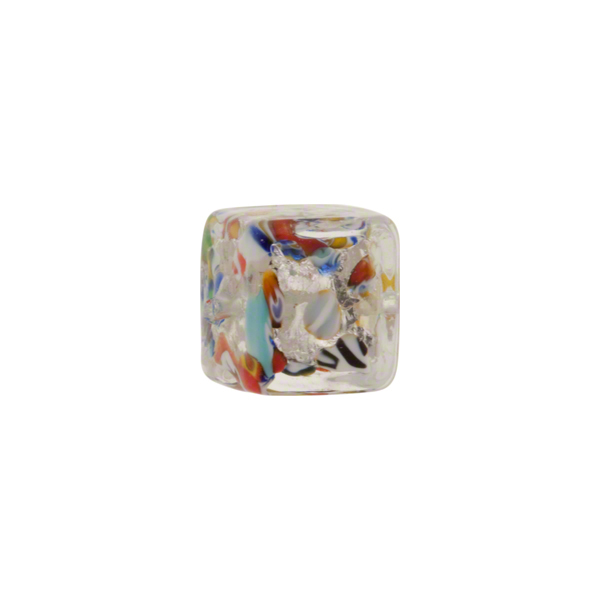 The exact placement, shape, size and color of the fragments of glass are completely random as is the placement and coverage of the .925 Sterling silver foil. No two are ever exactly alike.